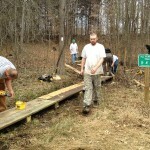 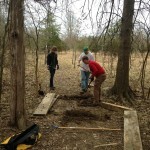 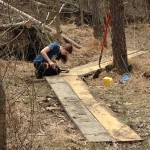 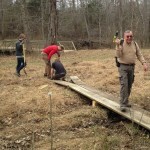 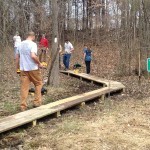 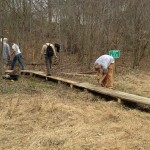 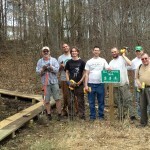 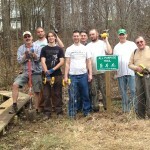 PWTSC volunteers installed boardwalk on wet areas of the trail on Saturday, March 12, along with other trail maintenance including removal of a downed tree, installation of trail signs, and blazing. 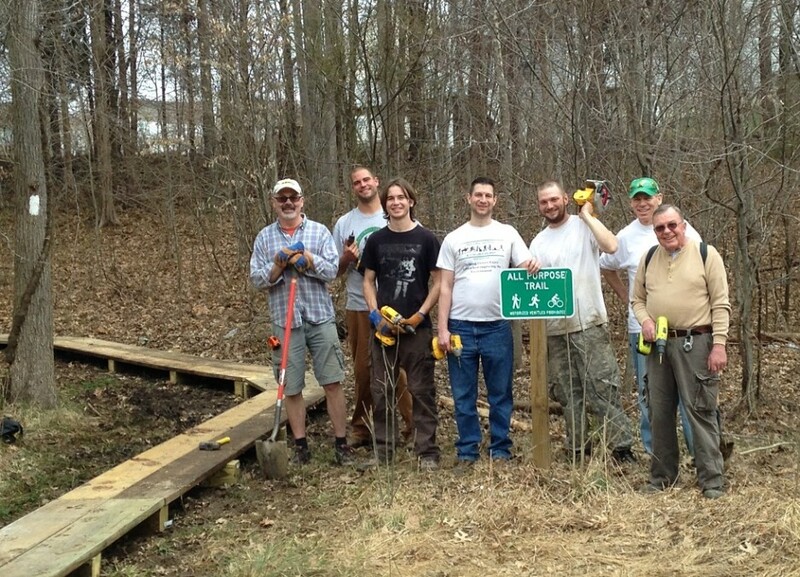 This work took place on the trail section between the trail-head / parking area on Hunting Cove Place, and the large pedestrian bridge which crosses Broad Run. 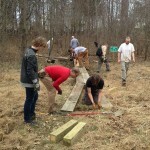 Here’s a photo gallery from the workday.